Purchasing the best bolt carrier group can be challenging – not necessarily because of the diversified choices on the market, but because of the lack of education. Believe it or not, even an experienced gunner may face trouble in choosing the right unit. Fortunately, this whole venture can become a breeze with a little research. Even more, a few recommendations and reviews from experts can open a lot of doors. It does take days – and even weeks – to research and try out all kinds of bolt carrier groups, but learning from others’ past experience will work wonders overtime. From dozens or maybe even hundreds of units out there, BRAVO COMPANY BC GROUP AUTP is certainly our best bolt carrier group top pick. Of course, different people come with different necessities, but this unit is both professional and general enough to satisfy a broad range of users. It is primarily built for first service semiautomatic rifles, yet it is compatible with full automatic rifles as well. In terms of compatibility, this bolt carrier group is ideal for .223 and 5.56 ammo. The package leaves no room for farther expenses. It has a firing pin and it does not need anything at all to run – except for the installation tools. The unit is fully assembled and ready to be used. Prior to being shipped, the manufacturer test fires each model for function, so you might spot some handling marks on it. BCM Carrier Group + Free Bottle of Lube! BCM Carrier Group, Complete and ready to use! This is considered by us the best bolt carrier group on the market! Nickel boron bolt carrier groups are quite diversified, yet some models do manage to stand up in the crowd through their features, stability and performance. 1. Reign Supreme MFG Titanium Nitride Carrier W/ Nickel Boron Key is made in the United States of America and comes in several sizes. The carrier is based on 8620 steel and coated with titanium nitride. 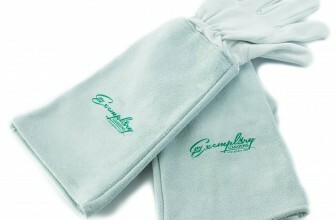 Not only it is extremely durable, but it is also likely to maintain the performance levels at extremely high standards. It is compatible 5.56 and .223 ammo. On the other hand, the bolt is made of 9310 steel, but also nickel boron coated. The bolt carrier group is known for the impressive reliability. After all, it is rated for full automatic fire. Moreover, these coatings will impress you the first time you clean the group. They prevent the carbon from sticking. Forget about chemicals and frustration because a simple wiping move will clear it. 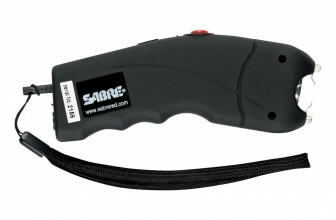 As for the functionality, it works perfectly with both automatic and semiautomatic rifles. The package is complete, so you do not need any other expenses. 2. RSM Nickel Boron 8620 Steel NIB FA MPI Drop In Ready 9310 comes from the same manufacturer, which is known for building products that raise to North American quality standards. Therefore, this model is also made in the USA and comes with similar, yet slightly different characteristics. It is made of 8620 steel, but it also comes with a 9310 steel bolt. The unit is full automatic. It is compatible with semiautomatic rifles too. However, it might feel a bit heavier when compared to specialized bolt carrier group for this category of rifles. Although it does not come with any special coatings, maintenance is still piece of cake and does not imply too much stress. Fire a round and you will be impressed when you take the bolt carrier group out to clean it – you only need some soap, water and a few minutes. 3. Prime Nickel Boron BCG has been developed with cost efficiency in mind. Sometimes, purchasing the best bolt carrier group is a matter of budgeting. But when cost efficiency comes hand in hand with durability and speed, you can consider yourself to be a winner. Made of 8620 steel, this carrier is shot peened. Install it without too much hassle and give it a shot. The operating speed will impress you. Other than that, it is inspected for magnetic particles, but also tested at a high pressure. In order to make maintenance a breeze, it is nickel boron coated too. As if all these were not enough, Prime’s best bolt carrier group comes with a gas key and an extractor insert. It benefits from the Crane O-Ring technology, but it also features a power spring kit. As for compatibility standards, it can go with any 5.56 or .223 platform on the market these days. 4. Super Surplus Supplies Nickel Boron .223 5.56 BC Group Nib respects some of the most popular standards in this industry, but it does it at a highly cost efficient rate. If you shop with the budget in mind, this might become the best bolt carrier group for your rifle. It is made of 8620 steel – a common material in this field due to its durability. Also, the bolt is made of 9310 steel – just as important in terms of performance. It has a thoroughly stacked gas key, as well as grad 8 bolts. Furthermore, it is nickel finished. The package is complete and it does not ask for any farther purchases. 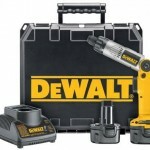 You got everything you require for installation, use and maintenance. The maintenance will not be such a big deal though. You will understand once you do it for the first time – you only need some water and soap. Plus, this BCG is compatible with .223 and 5.56 platforms. 5. AB Arms Pro BCG Nickel Boron Bolt With Phosphate Extractor, Silver comes with a carpenter 158 steel bolt. Prior to being used, the bolt was heat treated for performance and durability. The extractor is different though – E4140 steel. This type of steel is more common in the aircraft manufacturing industry. It is also heat treated, but also shot peened. The surface is coated with manganese phosphate. The entire assembly will impress the audience with its outstanding precision. Everything fits with no difficulties at all, but without being loose either. In fact, the assembly is produced with Swiss CNC Machinery for perfect tolerances. When it comes to the bolt, it is made of 158 steel. It is MPI tested. Also, the bolt is nickel boron coated. Maintenance will never cause any problems at all. With these features in mind, this unit from AB Arms might be the best carrier group if you have a .223 or 5.56 platform. There are plenty of different types of bolt carrier groups out there. To some people, quality and performance are the first things that matter. To others, this choice might be influenced by the budget as well. The good news is that you can find solid bolt carrier groups under $200 as well, so you do not necessarily need to sacrifice quality for the price. 1. BRAVO COMPANY BC GROUP AUTP was normally designed for semiautomatic rifles. In other words, it is not too heavy, but quite easy to get used to. The best part is that it is compatible with full automatic rifles too. From this point of view, you benefit from extra performance without adding too much weight on the rifle. Whether you have a 5.56 or .223 platform, there is nothing to worry about because the BCG is compatible with virtually any choice out there. There is absolutely nothing to feel concerned about regarding the package. It is complete and comes with everything you require for an immediate start. The firing pin does not miss either. Install the unit and your rifle is ready to experience a new level of performance. Another great news is that the whole thing is fully assembled. Besides, it is thoroughly tested before being delivered, so chances are you might spot handling marks as well. To some people, quality and performance are the first things that matter. To others, this choice might be influenced by the budget as well. The good news is that you can find solid bolt carrier groups under $200 as well, so you do not necessarily need to sacrifice quality for the price. 2. 308 LR-308 LR308 BCG By Veriforce Tactical is specifically made in the USA by a governmental contractor. It might be the best bolt carrier group if you got a 7.62X51/308 rifle, as it is made for these models. The manufacturing process is extremely demanding for this unit. It is HPT/MPI tested, but also marked for credibility. The bolt is made of hardened 9310 steel, while the firing pin carries the 17-4 stainless steel quality standards. Also, it is treated at high temperatures. The carrier consists of 8620 steel. Apart from all these treatments and tests, it is worth noting that the BCG is nitrite treated and not phosphated. As a direct consequence, maintenance will never pose any problems at all. Finally, even if this is your first BCG, you will not experience any problems with it because it is fully assembled. It is lightweight and will not put too much pressure on the rifle either. 3. SPIKE’S CARRIER GROUP BLK is by far one of the finest BCGs in todays industry. It becomes the best bolt carrier group for the discerning and dynamic user. 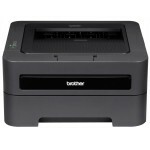 In terms of specs, there are not too many differences when compared to other similar units. Basically, it is made of 8620 steel, but it also comes with a shrouded firing pin. The package is complete, so you will not have to buy anything else in order to use the BCG. It is thoroughly finished with 5.3.1.2 MIL-STD-171 phosphate both on the inside and the outside. As if all these were not enough, it was enriched with a hard chrome bore. All bolts are CNC machined and shot penned, while the unit has been thoroughly HPT – High Pressure Tested. Once the tests were completed, it has also been MPI – Magnetic Particle Inspected. The logo is visible too, as it is laser engraved. 4. Daniel Defense 6.8mm SPC BCG Complete, F/A turns out to be the best bolt carrier group if you look for quality at a cost efficient rate. The AR BCG comes with a shot peened bolt, as well as an extractor booster. Its operational speed is outstanding – one of the first things that will impress you once you start using it. The BCG is MPI tested – Magnetic Particle Inspected. Also, it is chrome lined for an easy maintenance and better looks. As if all these were not enough, this unit comes with staked gas keys. This AR bolt carrier group features a shot peened bolt with extractor booster. Its features are quite diversified, but maintenance has not been overlooked either. If you have used other BCGs before, you might expect a long, daunting and laborious process. Surprise! Cleaning this BCG is simple and fast. Just use some water and soap. It is not too heavy either, so it makes a good addition to your rifle. 5. Prime Nickel Boron BCG might look fishy at a first glance. It comes with professional features, but it is normally way less expensive than other bolt carrier groups in its segment. Its cost efficiency will amaze you – just the right quality standards going under the market price. All in all, the BCG package weighs 13 ounces and measures 8x2x2 inches. It is entirely made of 8620 steel. In terms of durability, it is hard to find a different material to beat it. The magnetic particle inspection and high pressure testing add to its capabilities. This Bolt Carrier Group comes fully assembled and ready to drop into your bolt action sporting rifle. Maintenance will never be a problem. It cleans fairly simple, without using any sophisticated acids or tough chemicals. Those who have used other BCGs before will not believe it until the first time they remove it for cleaning. They will only require some soap and water. As for the compatibility, it works with any .223 and 5.56 rifle. You do not have to despair if the budget is a problem for you. Not everyone can afford the most expensive bolt carrier group on the market, but the good news is that you can still find some amazing deals for less than $100. Keep your quality standards high and focus on what really matters for your rifle. 1. 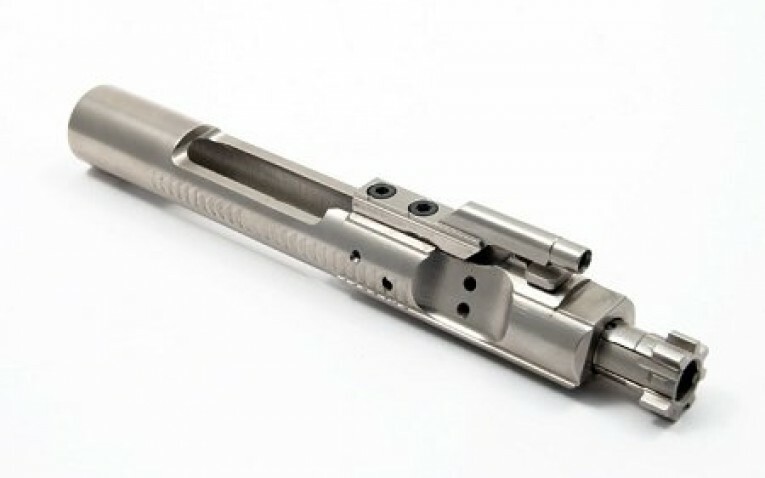 DS Arms Complete Bolt Carrier Group Mil-Spec is designed by a professional USGI contractor. It comes with a full assembly, so no experience or extra work is needed. You got the retaining pin, firing pin, actual bolt carrier, cam pin and bolt. The bolt is thoroughly made of 9310 steel, which is known for its durability and facile maintenance. However, in order to make caring for this BCG even easier, the manufacturer has coated the bolt in phosphate. The same goes for the actual carrier finish, although it is actually made of 8620 steel. As a direct consequence, keeping this unit in the best possible shape is extremely simple. Forget about professional cleaners. Just get some water and soap. Although the unit has not been high pressure tested, it was magnetic particle inspected. It is ideal for M16 and AR-15 platforms – caliber 5.56 NATO. 2. AB Arms Pro BCG Nickel Boron Bolt With Phosphate Extractor is likely to impress you with its quality standards and accessible price. The carpenter 158 steel bolt is heat treated, only to meet the Mil-Spec demands and standards. On the other hand, the extractor is probably the most durable part in this BCG. It is made of E4140 steel, which is quite common in the aircraft manufacturing industry. It is not only heat treated, but also shot peened. Other than that, the steel is not visible due to the manganese phosphate coating. The assembly has been manufactured with Swiss CNC machinery for perfect standard, sizing and finishing. It also has the right level of tolerance for durability and performance. As for the bolt, the carpenter 158 steel is nickel boron coated. The whole assembly weighs 1.4 ounces. It is lightweight and will not really make the difference in the comfort. 3. Reign Supreme MFG NICKEL BORON .223 5.56 9310 NiB can take your rifle to the next level without requiring a major investment. It is currently one of the best rated bolt carrier groups over the Internet. 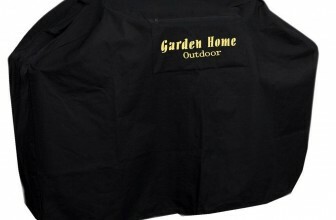 It is entirely made in the USA, so it is built to North American quality standards. Moreover, North Americans will love the possibility to benefit from local customer service. All in all, this BCG comes with a full package. The assembly includes an ejector, an extractor buffer and a pin, but also the hardened extractor and gas rings. Simply put, you do not have to invest in anything else in order to start using it. The BCG is made of 9310 alloy steel – a common, yet extremely reliable and durable material. It is also nickel boron coated. The coating adds to its strength, but also to its lubricity. Moreover, it makes maintenance simple and quick. What Is A Bolt Carrier Group? In simple words, a bolt carrier group is an improvement in the performance of your rifle. It is more common in gas powered weapons and handles the cyclic operations of your unit, such as feeding, firing, extraction and ejection, among more others. It comes with more finishes and each of them has its own properties and specifications. Finding the best bolt carrier group is an improvement in customizing your rifle. It is not mandatory for its operation though, yet it will add to its performance. How Does A Bolt Carrier Work? Understanding how a bolt carrier group works is challenging if you are not familiar with guns. As the bullet is pushed past the gas port, the gas is tapped away. It goes in a tube through a small port. This tube is placed on top of the barrel. The barrel is quickly moved toward the upper receiver. At this point, the gas transition is over and goes into the bolt carrier key. The key takes the gas over and sends it toward the bolt carrier. If you know the functionality of a firearm, you can easily understand the differencet a bolt carrier group makes, as it is directly responsible for boosting your productivity, whether you go hunting or you practice. 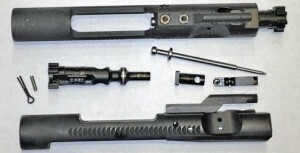 How To Assemble A Bolt Carrier Group? The assembly of a bolt carrier group looks intuitive and straightforward, yet it demands some attention. There are a few steps to go through that apply to pretty much any BCG. First, make sure that your gun is not loaded. Put the bolt inside the carrier. The flared side should face out. Get the cam pin inside the carrier opening, then straight into the bolt. Pull it back for extension, then rotate the cam pin to exactly 90 degrees. Introduce the firing pin and push it down for a proper installation. It is highly indicated to check the owner’s manual and perhaps some video tutorials. If this is the first time you do it, perhaps you should seek professional help and learn for farther installations. Automatic Versus Semiautomatic Bolt Carrier Groups? It normally depends on what you expect from your gun. If you are a regular civilian, the difference in functionality is insignificant. Each of these choices will overpower your gun, but none of them will make it go full automatic without investing in other parts too. However, the good news is that you gain some extra strength, despite the small extra weight. The weight is insignificant and will not put any extra pressure on your arm. At the same time, it does pay off to become familiar with the local laws and regulations first, as you might face some restrictions. What Kind Of Bolt Carrier Group Should You Buy? When looking for the best bolt carrier group, make sure that you know why. Identify your personal necessities if you truly want to make a smart choice. Otherwise, chances are you will not notice the difference or it will not really impress you. On a different note, set an available budget. There are many quality BCGs in ore price ranges, so you do not necessarily have to spend a fortune for a good final result. Instead, just pick something that can meet both your needs and budget. Finally, research the market. There is nothing wronger than buying a bolt carrier group based on plain guessing. Taking a wild guess will most likely lead to a bad and uninformed decision that will not satisfy your demands in terms of performance. Alex has spent the past 20 years studying guns, rifles and other firearms, as well as all kinds of improvements that can boost their performance. His extensive experience in bolt carrier groups makes him a good source of advice and information for those who are not completely sure about their needs.